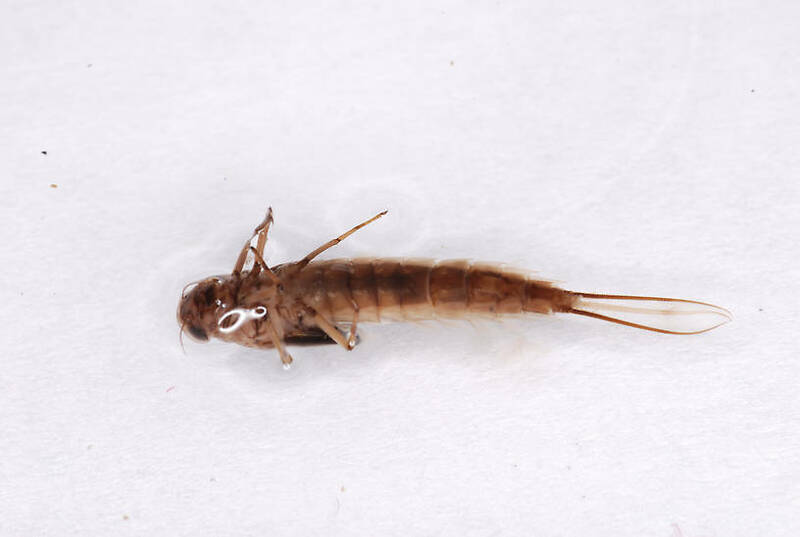 This mayfly was collected from Crazy Beaver Spring on August 31st, 2007 and added to Troutnut.com on June 28th, 2011. I've really been enjoying looking at Dr. Newell's additions to the "Aquatic Insect Encyclopedia," but there seems to have been some sort of mix-up here. The 2nd photograph is an female ephemerellid dun, possibly something like Ephemerella tibialis.